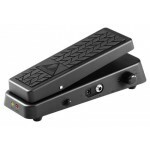 HELLBABE HB01 Ultimate Wah-Wah Pedal with Optical Control Multi-functional Wah-Wah p..
FV-50H/-50L: Volume Pedal The low-impedance FV-50L is a stereo volume pedal that ca..
Cry Baby® 105Q Bass Wah 105Q Optimized for bass frequencies Separate Q a.. 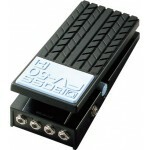 Pitch Shifter/Harmony Pedal for Electric Bass Guitar, with Three Octave Pitch Range and Built-in Exp.. Product Description The legendary Whammy pedal is the premier pitch-shifting pedal for any guitar..
Dimebag Signature Cry Baby® Wah Wah DB01 Designed in conjunction with legendary guita..
Cry Baby® Wah Wah GCB95 Original Wah Wah. True to 1966 Thomas Organ Design. Put your ..
GCB95F Cry Baby® Classic Wah Wah GCB95F Features the original Italian-made Fasel inductor..
Jimi Hendrix™ Signature Wah Reproduces Jimi's unmistakable and legendary wah-wah ton..
Get the same killer wah effect used by the metal legend himself. Developed in close collaborati.. Product Description Like the man himself, the Slash Wah from Dunlop is both revolutionary and cla..